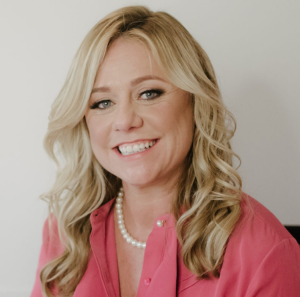 Jaime Blomquist is a certified, Licensed Interior Designer with a comprehensive knowledge of all facets of interior design. Her mastery extends beyond beautiful furnishings and fabrics to include a full grasp of architectural plans that include structural, lighting, electrical and plumbing, innovative and effective space planning and the capacity to integrate thoughtful architectural details into her rooms—ones that both embrace modern sensibilities and pay homage to bygone eras. Jaime seeks to not only create interiors and exteriors that are aesthetically pleasing and functional, but also to manifest spaces that reflect and define her clients’ personas. 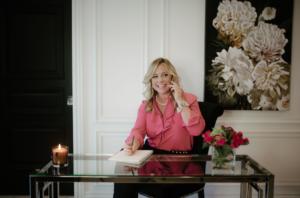 As she facilitates bringing her clients’ visions to fruition, she repeatedly surpasses initial expectations. Jaime is an expert at taking the formidable “blank canvas” and breathing life into a space, revealing its truest potential. 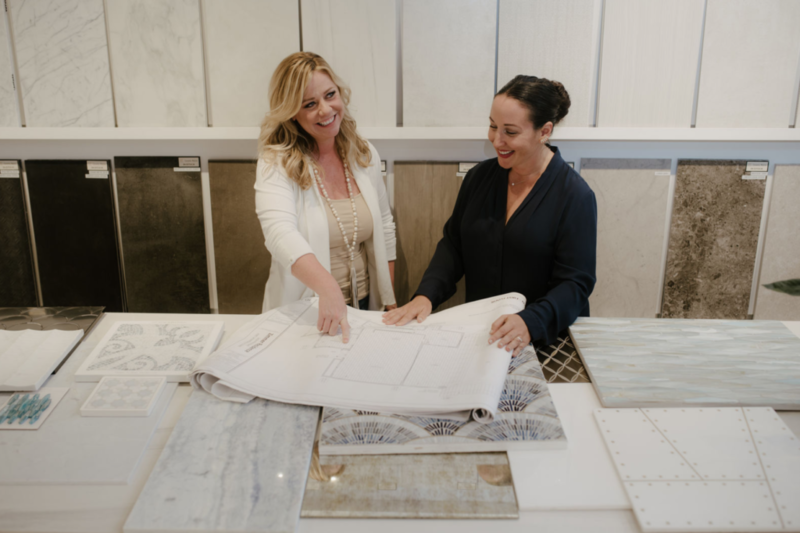 Jaime Blomquist Interiors is fluent in the language of construction. We “translate” the vernacular, which includes important– yet sometimes complex– terms, including but not limited to: “reflected ceiling plan”, “electrical plan”, “cut section” and “elevations”. We provide a strategic, detailed physical roadmap of your project, and verbally communicate all aspects to you during its progression—thus preventing any unwanted surprises and ensuring the fulfillment of your expectations. We remain a constant hands-on presence throughout every stage of your project’s execution. We will be there to make sure no detail is overlooked and make certain that your design drawings are executed to plan by your architect and builder. We meet, we chat, we get to know one another. This is the initial meeting where you share your dreams and inspirational images, and then together, we identify your vision. You speak, I listen. I ask questions to learn all I can about you and absorb exactly who you are and precisely what you want—that way, I can be best-equipped to help you achieve your design goals. We finalize the scope of services and I provide you with an itemized list of the work to be done. You agree to hire me for your project. This is when we “seal the deal”. At this meeting of the minds, we look over the architect’s drawings, the electrical, lighting and plumbing plans. We evaluate the space plan for aesthetics, efficiency and flow. We compare our design definitions to make sure they’re aligned. We get the ball rolling. Now the fun really begins. Tiles, stones, woods, plumbing and appliance selections, paint colors, doors and door hardware…the list of things to choose goes on. Not to worry—I’m here to guide you. And once decisions are made, you’ll love seeing how it all starts coming together. Designing of custom cabinetry, ceiling designs, applied moldings, layout of flooring and wall materials... and more, happen within this phase. Every detail is meaningful in creating your design. Planning the design prior to construction allows the vision to be translated flawlessly. Once the design concept has been completed, we provide clear instructions to your architect and builder to ensure accurate execution. We then present you with additional materials to help you visualize the finished product more fully, including hand sketches, renderings and 3D models. We’re approaching the finish line…time for the finishing touches. Together, we’ll specify window treatments, furnishings, upholstered pieces, lighting fixtures, rugs, bedding ensembles—all the things that make a house a home. Sound exhausting? Not at all. It’s done in the comfort of our extensive, in-house design library. I’m on the scene and at the jobsite, orchestrating a smooth install, and ensuring that our designs have been properly implemented according to our exact drawings, specifications and instructions. 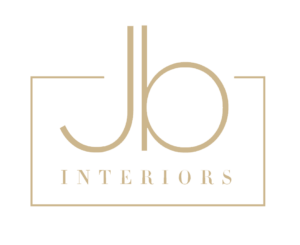 We oversee the placement of rugs, furnishings, window treatments, art and accessories. We don’t leave until everything is perfect. In other words, we’re not happy until you’re happy! Let's get started in accomplishing your dreams together! I promise to be completely COMMITTED to your project—no matter how big or how small. I will always VALIDATE you and recognize your worth. I realize that you have an appreciation for beautiful design and know that your input means everything. I vow to approach your project with morality, ethics and the highest standards. I will hold myself ACCOUNTABLE. To the best of my ability, I will ANTICIPATE potential problems before they arise, and be armed with the right solutions. Though a caring and compassionate individual, I can also be steadfast when negotiating on your behalf. I’m sworn to be your ADVOCATE. I won’t stop until you CONNECT with your home in a deeply comfortable way. My aim is to provide you with a place where you always feel at ease, no matter what life brings.